Today’s printable is a quick little handwriting and reading activity to learn and review fall words: Fall Words Read, Trace, and Connect! Great for kindergarteners and first graders who can figure out new words, review ones they’ve seen before, write them, and connect them with the matching image. Perfect to get into the mood for fall! 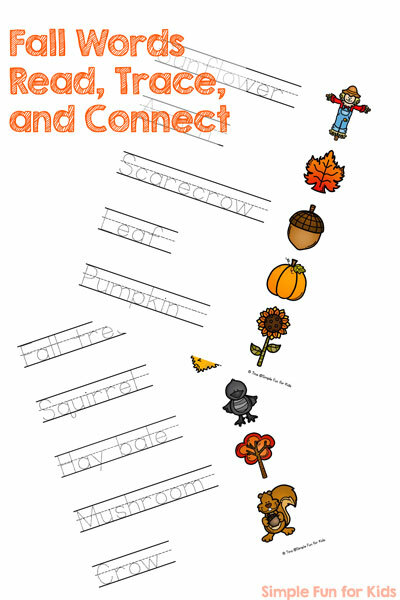 The pdf file includes two pages for reading, tracing, and connecting fall words and images. Both pages can be used together or individually. 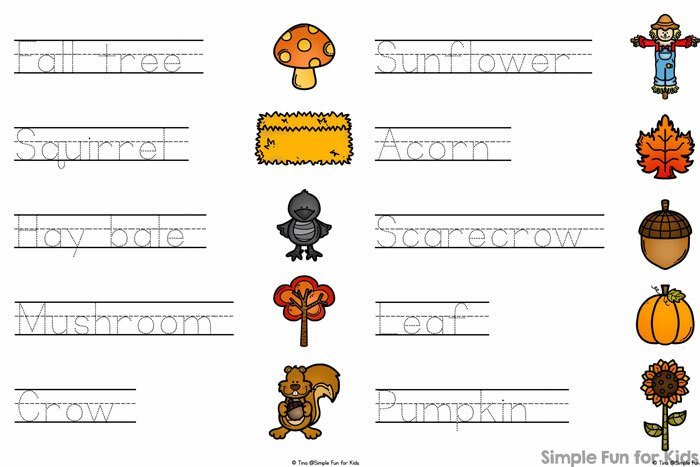 Images used are scarecrow, leaf, acorn, pumpkin, sunflower, mushroom, hay bale, crow, fall tree, and squirrel. Have your kids read the words, trace them, and draw lines to connect them to the matching image. Download your Fall Words Read, Trace, and Connect! Fall I Spy Game und Fall Leaves Grid Game both use the same clip art set.